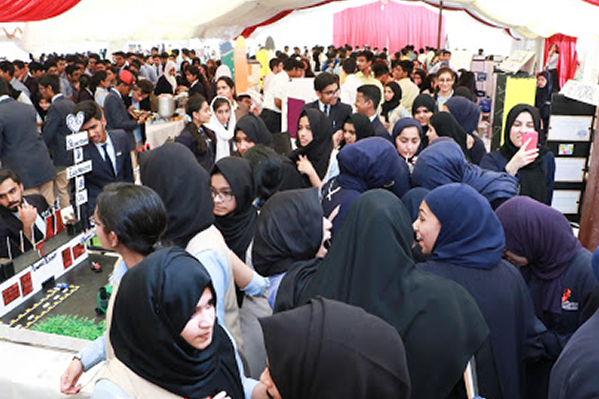 An automated device to prevent children being left inside locked cars, a method to generating electricity from doors, a smart helmet which gives bike riders a 360 degree vision of their surroundings and a system prevents children from falling off balconies were some of the projects on display at the Gulf Medical University’s 12th annual Medical and Science Exhibition (MASE) on 24th and 25th October 2018, where around 2000 students from 65 schools vied for prizes in the projects, posters and paintings categories. 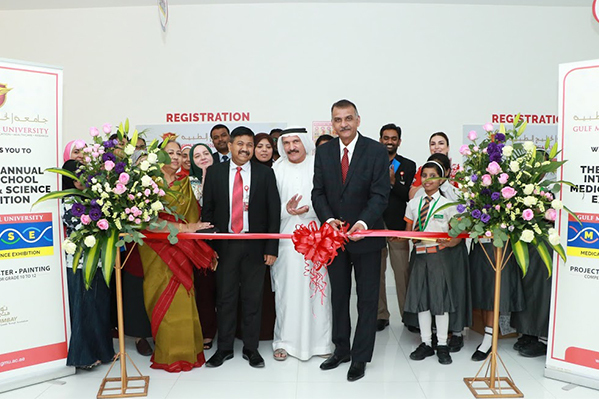 The event was officially inaugurated on Wednesday, 24th October 2018 by Prof. Manda Venkatramana, Vice Provost – Academics, Gulf Medical University, in the presence of the Deans and students of the University and participating students and school authorities. 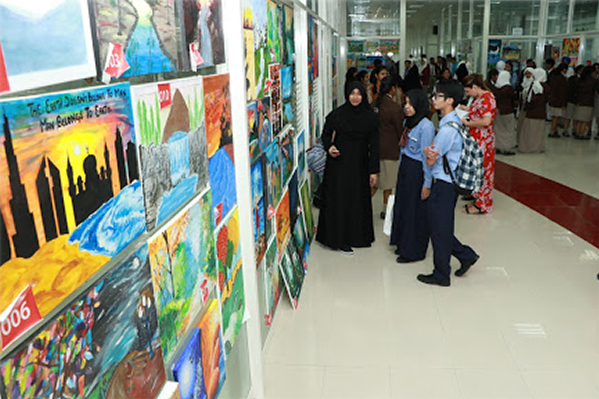 Students of grades 10, 11 and 12 from across the country exhibited around over 300 projects, 300 posters and around 250 paintings based on science and medicine, vying for total cash prizes of AED 25,000, in addition to trophies and certificates. The competitions were judged by a panel comprising of leading doctors, professors and medical science professionals. Projects included many innovative prototypes, most of them attempting to solve the challenges and issues of everyday life. 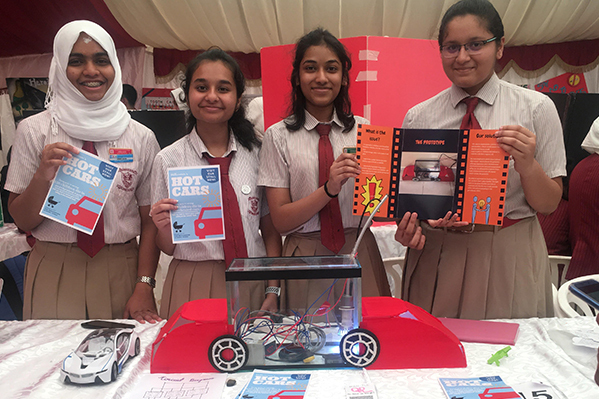 Ruchika, Sakshi, Nashita and Samrin, grade 11 students from The Millennium School Dubai displayed an advanced project called ‘Hot Cars’ to ensure the safety of children in the summer heat. “Every year, an average of 156 children die in overheated cars. Our project presents an electronic system which senses the presence of children in a locked car and maintains a safe temperature within. It works even when the engine is switched off,” they explained. 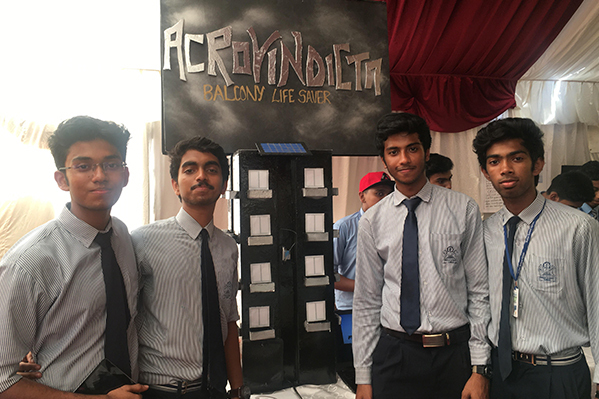 The ‘Balcony Life Saver’ by Thomas, Jason, Allen and Niju, grade 12 students of Indian School Ajman was yet another notable project. Seeking to address the issue of children falling off balconies, the working model demonstrated how the parent would receive an instant alert on his/her mobile phone as soon as a child enters the balcony, at the same time activating a self-deploying net which would ensure the child’s safety in case of a fall. 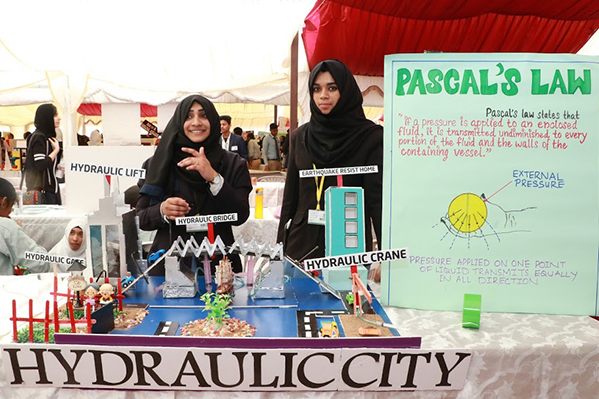 Rishab and Rahil from The Millennium School Dubai presented the ‘DynaDoor Project’, a unique way of generating electricity form of doors, by converting the physical energy generated from opening/closing doors to electrical energy. “Considering that our school has around a hundred doors which are used every day, the electricity thus generated can be used to light up a one-bedroom flat for a week,” explained Rishab. The project had won the people’s choice award at the DEWA Conservation Awards. 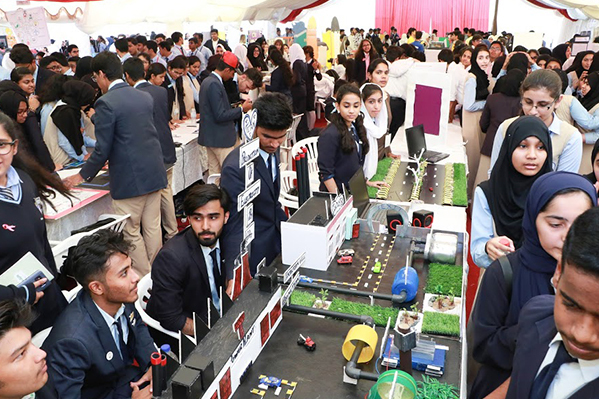 Apart from working models, students also presented still models and charts about various medical and scientific advancements, diseases, lifestyle issues etc. The paintings on display also won the admiration of visitors. The winners were declared and prizes awarded at the closing ceremony on Thursday, 25th October. Apart from the overall championship, prizes were awarded in 35 team and individual categories, including viewers’ choice awards.